Buying a home is such an exciting endeavor! We are excited for you, but more importantly we are here to make sure you get the right home, for the right price with as little hassle as possible. 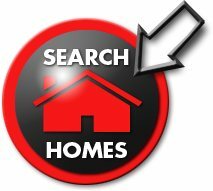 We will save you time, money and stress by working directly with your lender, finding homes that meet your criteria, arranging for you to preview the homes, pulling comparable properties to make sure you don’t overpay for a home, writing and negotiating the offer, assisting with inspections, coordinating with the title company…the list goes on and on! It is vital that your have your OWN agent representing YOUR interest and we are just the team for you! What an exciting time! We’re here to help…every step of the way! Here is a first time buyer guide that we have found very helpful! We love this reference manual for homebuyer’s! We recommend anyone considering a home purchase read through it. If you have questions as you read through it, don’t hesitate to contact us! DO YOU QUALIFY TO PURCHASE A HOME? Leave a comment below or for an even quicker response, feel free to give us a call 435.767.1552.